Quality is job one for everyone at ISCI. Every level of production, product handling, packaging and shipping is carefully monitored by a seasoned quality control department. In an industry where quality is "precision," there are no shortcuts, and in our organization there are no "small" jobs. Each and every part we ship is critical to the success of our customers, so we go the distance in meeting or exceeding client specifications for precision. Precision begins with clean, quiet machining areas conducive to the production of small parts with critical tolerances. 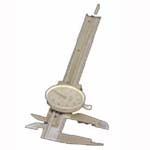 All measurement tools and gauges are well-maintained and rigorously monitored to ensure proper calibration. For parts inspection we utilize a Starrett Coordinate Measurement Machine (CMM) powered by the latest software packages. Located in a modern, climate controlled lab, this system gives us added options for increased levels of inspection that are highly accurate, repeatable and cost effective. The centerpiece of our documentation system is industry-recognized ERP software networked throughout our operation. The system tracks and provides real-time information on all orders including the initial quoting process, material purchasing, scheduling, manufacturing, inspection, shipping and billing. ISCI's calibration program maintains a rigorous monitoring system for all measurement tools, gages and equipment. Our in-house quality department performs daily inspection functions, aided by cutting-edge computer technology. 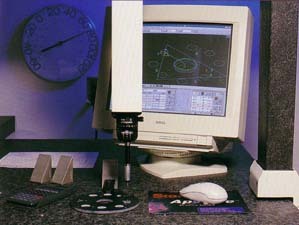 A Starrett Coordinate Measurement Machine (CMM), located in climate controlled lab facilities, is driven by state-of-the-art software, providing measurements that are accurate and easy to replicate.